Comic-Con 2018: Aquaman, Buffy, The Expanse and More! HomeMovie and TV NewsComic-Con 2018, Day 3: Aquaman, Buffy, The Expanse and More! Let’s not mince words, Warner Bros. hasn’t really done that well with the DC Extended Universe. Since the release of Man of Steel, I can count how many good movies they’ve made on one hand. Actually, I can count how many good movies they’ve made on one finger. Warner Bros. came out in full force at this years Comic-Con with their offerings of not only DC films, but also some other movies that will be hitting the big screen. Check that out and more including a Buffy the Vampire Slayer reboot and a bit on The Expanse revival. The key complaint of the DC films thus far has been that they’ve been too dark. 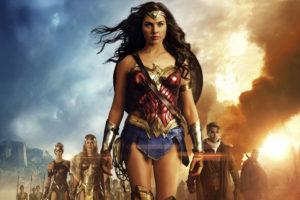 The only movie to really buck that trend was Wonder Woman and it has been the best received movie by both fans and critics. Looks like Warners is ready to really double down on a lighthearted tone with the new Shazam! trailer that they premiered. Check that out here and below! That wasn’t the only DC trailer that bowed in. James Wan’s Aquaman has been an interesting property because most people have always made fun of the character because he talks to fish. I’ve always thought that was undeserved and rehabilitating the character seemed to be on Warner’s mind when they cast Jason Momoa in the role. 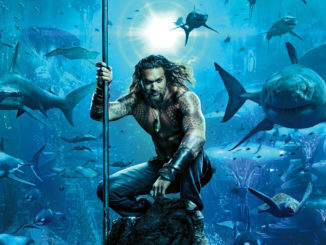 Warner Bros. has released a full length trailer for Aquaman that you can watch here and below. I like the fact that they’ve leaned into Arthur Curry being made fun of for talking to fish when the character was a kid. Yet, they’ve steered clear of making the film dark and—I have to admit—looks absolutely insane in the best possible way. Seven kingdoms under the sea? Sure! And let’s make it as crazy as possible! This is halfway to a Star Wars movie rather than a DC film. The only think I don’t like is Amber Heard’s unnatural red hair which, as far as criticism goes, is pretty trivial. Star Gal Gadot said that the film isn’t a sequel but rather a different chapter and a whole new story. With such a different setting, I can see her point. 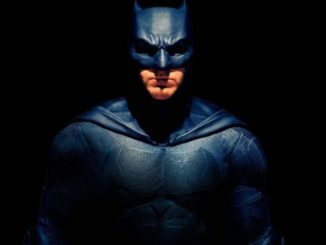 A final bit of news came out of Comic-Con for the DC films. Up to this point, the films have been known as the DC Extended Universe which was never an official name. However, it was the only name we had and it stuck. Now, Warners has gone and branded their DC films the Worlds of DC. I think part of the rebranding definitely has to do with the failure of Justice League at the box-office. It’s also interesting to note that the official name is a plural which further leads to the idea that they’ll be releasing movies that are independent of each other. Moving away from comic book movies but still in the Warner Bros. film panel we get a brand new trailer for Fantastic Beasts: The Crimes of Grindelwald. Check out that trailer here and below! I almost didn’t see the Fantastic Beasts in the sequel title. It seems like they’re really downplaying that part. A final bit of drama that happened during the Warner Bros. panel was Johnny Depp making a surprise appearance in character as Grindelwald during the Fantastic Beasts panel giving an anti-muggle speech. While that wasn’t controversial, what was was that his ex-wife Amber Heard came out right afterwards for the Aquaman panel. It’s almost certain that Warner Bros. made sure that the two actors didn’t cross paths. It isn’t the first situation where two previously married actors had to be near each other such as Jerome Flynn and Lena Heady who work together on Game of Thrones but have not shared a single scene. I absolutely loved Gareth Edwards’ 2014 version of Godzilla. The movie paid a lot of tribute to the original 1954 film and was just pitch-perfect in tone. It also made me nervous about how they would tackle the sequel Godzilla: King of the Monsters. We knew they would be bringing in more Kaiju but I still had my reservations. After watching this trailer, I’m floored. Watch the Godzilla: King of the Monsters trailer for yourself here and below! Mike Dougherty has not only outdone himself, but all expectations of what this film would be. Hats off to Legendary and Warner Bros. The landmark cult television series Buffy the Vampire Slayer is being reboot—with a twist. Deadline is reporting that Monica Owusu-Breen will be producing, writing, and showrunning the new series which will feature a black lead. Joss Whedon is also involved creatively who will also serve as an executive producer along with original series EPs Gail Berman, Fran Kazui, and Kaz Kazui. For anyone who has a knee-jerk reaction to this news, I’ll point out the original series was basically a reboot of a film that Whedon wrote. I’m going to wait and see what they come up with before I make any judgement calls. Finally, I’m a fan of The Expanse—both as a television series and the novels—so I was really happy when Amazon saved the series. 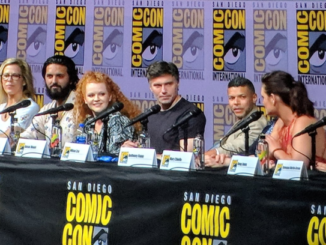 While that basically just happened, showrunner Naren Shankar was on hand to thank the fans for helping to save the series who chartered a plane to fly over Amazon Studios with a sign that said “Save The Expanse”. The cast and crew released a special thank you video that premiered at the convention which you can watch here and below. Shankar promised a fourth season that would be “more awesome” and that the immediate difference being on Amazon is that certain characters will curse like sailors. The brief image of the Rocinante landing reveals that the ship will officially land vertically rather than horizontally like it does in the books. All of this news seems to indicate a shift in all of these properties. From the look and sound of it, it’s all for the better. 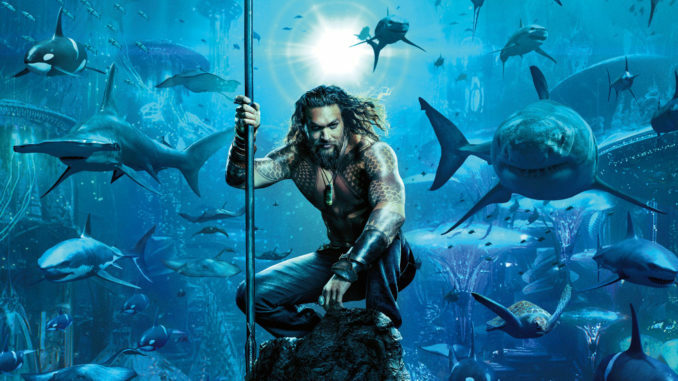 Doddle Digest: Aquaman, Lord of the Rings, Star Trek, and More!